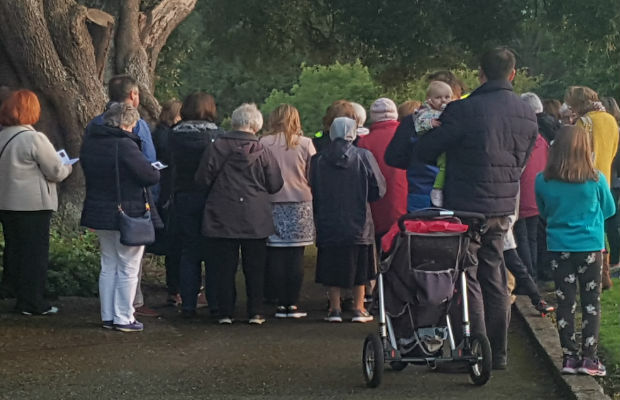 Holy Faith Sisters » Culture Night 2018 – Margaret Aylward Centre, Glasnevin. 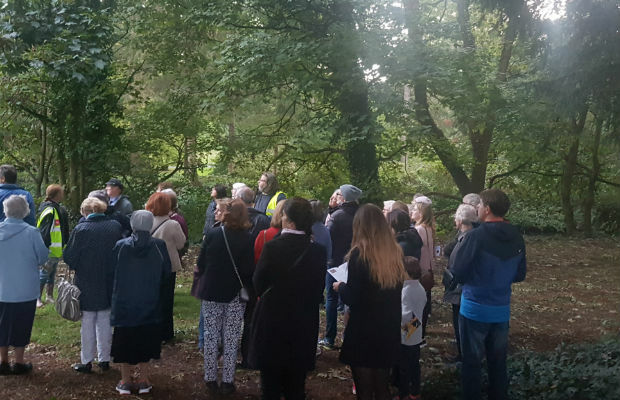 Culture Night 2018 - Margaret Aylward Centre, Glasnevin. 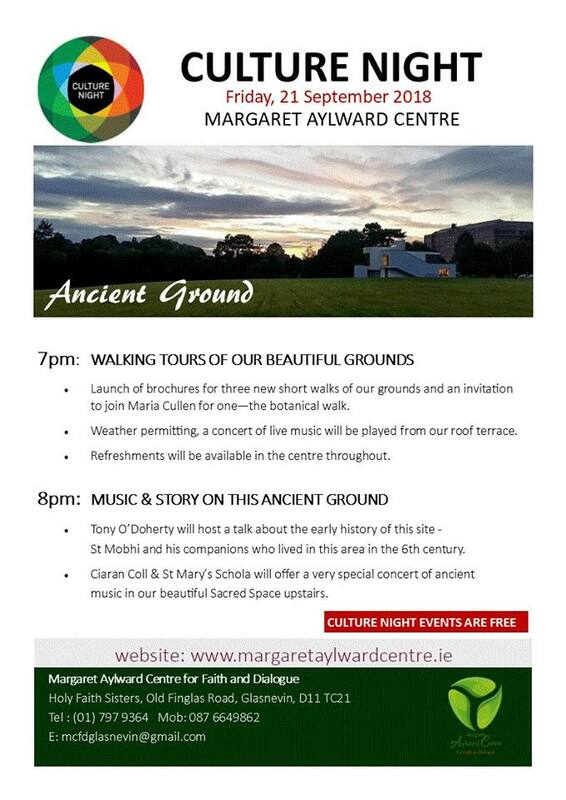 Culture Night 2018 – Margaret Aylward Centre, Glasnevin. 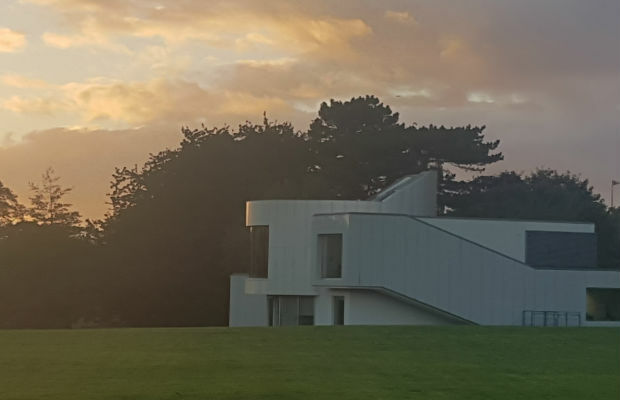 In Ireland Culture Night is celebrated every September, when free cultural events are held in towns and cities all over the country. 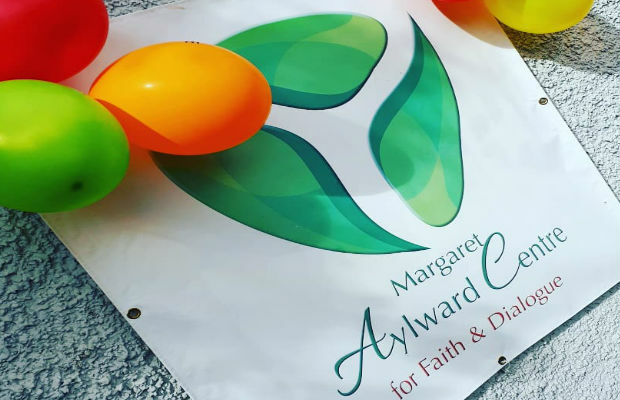 Wherever and however you celebrated Culture Night 2018, we hope you had as nice a time as was had in the Margaret Aylward Centre. 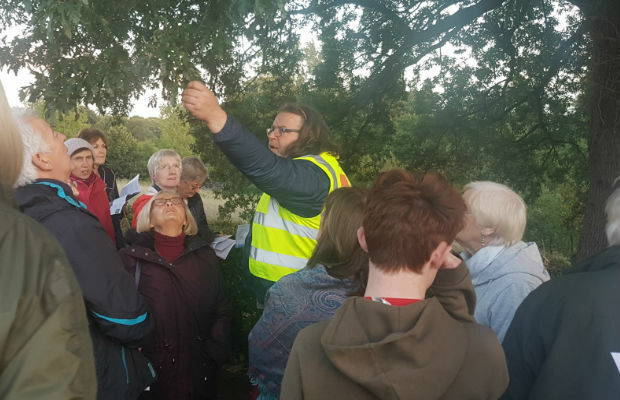 We walked, talked, sang and celebrated thanks to the enthusiasm of botanists, the experience of historians and the joy of youthful singers! 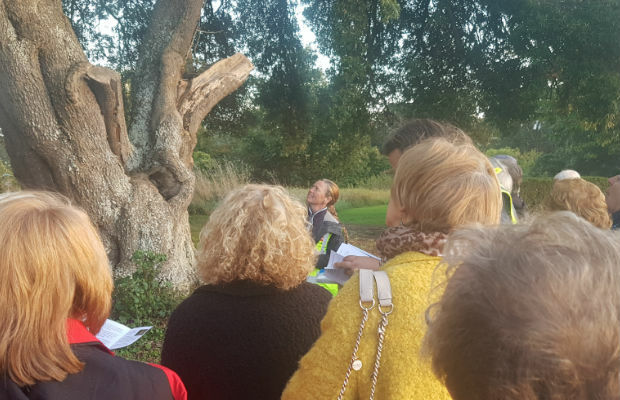 Maria Cullen and Howard Fox started the evening with the very popular Botanical Walk, providing a new brochure for visitors ‘A Botanical Tour’ which offers a ten-point map of some of the delights of our grounds. 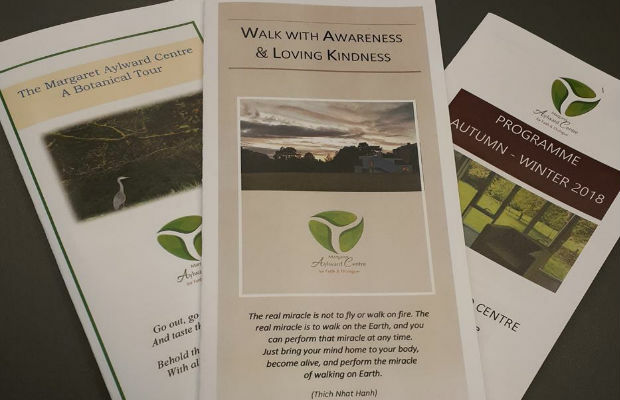 Anne F. O’Reilly created a beautiful leaflet offering a mindful walk in these grounds: ‘Walk with Awareness and Loving Kindness’. 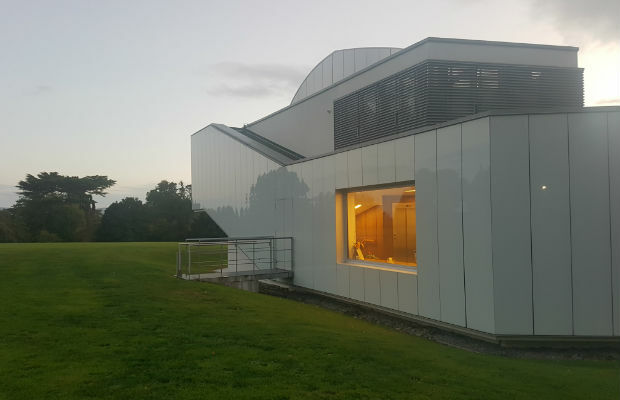 Offering poetry and reflections to accompany a visitor’s exploration of this space. 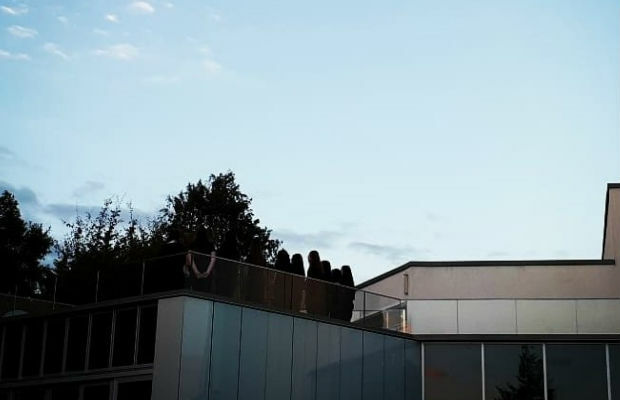 Anne’s morning and evening mindfulness programs start in the centre on the 27 September. 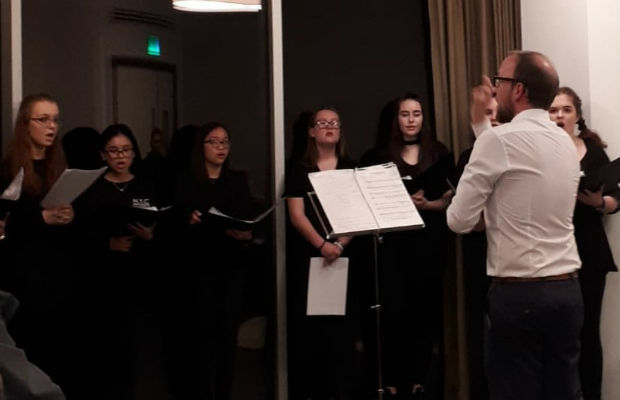 The Schola from St Mary’s Holy Faith Secondary School, Glasnevin and director Ciarán Coll were just wonderful – singing from the roof terrace to enchant the walkers, and later in the Sacred Space to a packed house of delighted visitors and proud parents. 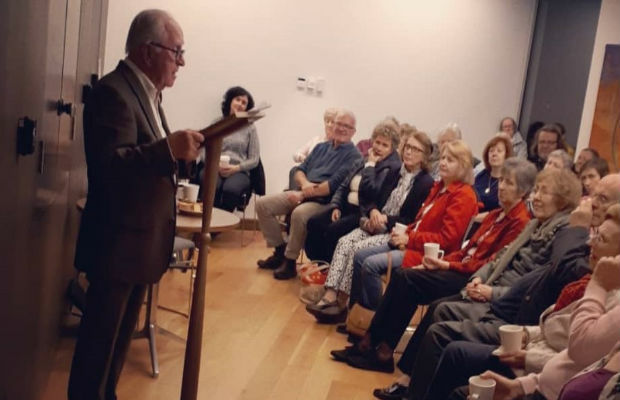 Thanks to all who joined us – we will try not to run out of chairs next year!